If you are searching for a dependable gutter cleaning service in Las Vegas, Southwest Ultra Clear is a Southern Nevada’s preferred choice. We safeguard your residential or commercial property from gutter debris buildup. We utilize industry standard top quality equipment and provide efficient, client – driven service in order to guarantee your satisfaction every time. Gutters are designed to protect your structure and landscaping. When functioning properly, they smoothly drain water away from the building shielding it from excess moisture. Gutters that are blocked by leaves, branches and other foliage cause water to spill over immediately around your homes base, or worse, back inside your home. A routine gutter cleaning eliminates the possibility of water damage in key areas in and around your home. At Southwest Ultra Clear we make gutter cleaning simple. We visit your home or office, evaluate your gutters, give you an honest estimate, and get to work. Our Las Vegas window cleaning company will work around your schedule, and get the job done fast without sacrificing quality. We recommend quarterly treatment to keep your gutters clear. A good rule is to contact Southwest Ultra Clear to clean gutters at the beginning of each season. This protects your home from unneeded moisture. You will enjoy our hassle-free service from Southwest Ultra Clear the home and office gutter cleaning specialists. The key purpose gutters serve is to channel the flow of excess rainwater from your roof and direct it to the downspout and into a targeted area away from your home. Without gutters, free flowing water can leak into your home or damage items around the base of your structure. 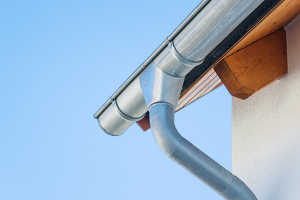 Gutters will inevitably collect sticks and leaves that obstruct water flow. Once your gutters are blocked, a professional cleaning from a reputable company is essential. We offer an affordable Las Vegas gutter cleaning service that meets your budget. Bird Barrier systems are an effective deterrent for birds of all kinds. They keep your roof or structure clean and cut down on ongoing maintenance. But what happens when bird barriers need cleaning? Call the crew at Southwest Ultra Clear. With 20 years of commercial and residential cleaning experience we can tackle any bird barrier restore its new look. Just like windows and other areas of your building’s exterior, bird barrier systems require specialized technical cleaning. 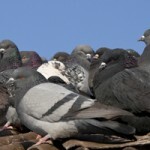 We have a highly trained, skilled staff that can treat your bird barrier efficiently and safely. We use state of the art OSHA approved equipment that keeps our crew safe at all times. We know what it takes to get the job done right the first time. If you want a reputable cleaning contractor that you can depend on, then call Southwest Ultra Clear today. We are the most trusted Las Vegas cleaning company. If you are looking for gutter cleaning services or bird barrier systems in Las Vegas, then contact Southwest Ultra Clear. Call us at 702-219-3525 or complete our online request form.